Program transformation (partial evaluation, supercompilation, program specialization). Program analysis and inferring properties of programs by means of program transformation. Functional programming languages and their implementation (in particular, Refal and Standard ML). A simple supercompiler formally verified in Agda. Staged multi-result supercompilation (a model in Agda). Almost-full relations: an Agda version for "Stop when you are almost-full". Constructive proofs of Higman’s lemma implemented in Agda. Hereditary substitutions for simple types (revised). A collection of samples in Agda. TT Lite: a certifying supercompiler for Martin-Löf's Type Theory. MRSC: a toolkit for building multi-result supercompilers. HOSC: A Higher-Order Supercompiler in Scala. SPSC: A Small Positive Supercompiler in Scala. Refal Plus Development Tools (RFPDT), an implementation of the Refal Plus programming language integrated into IDE Eclipse. Moscow ML, a light-weight implementation of the elegant functional language Standard ML. Unmix, a program specializer (based on partial evaluation) for a subset of Scheme. See also a version for Racket by Danil Annenkov. The first implementation of the Refal Plus programming language developed for MS DOS in 1991 (in collaboration with Ruten Gurin). First implementations of the Refal-2 programming language for BESM-6 and ES EVM. PEPM'2018 (Monday 8th – Tuesday 9th January 2018, Los Angeles, California, United States), a program committee member. Научный сервис в сети Интернет - 2017 (September 18-23, 2017, Novorossiysk, Russia). μετα 2016 / meta 2016 (June 27 - July 1, 2016, Pereslavl-Zalessky, Russia), a program committee chair. 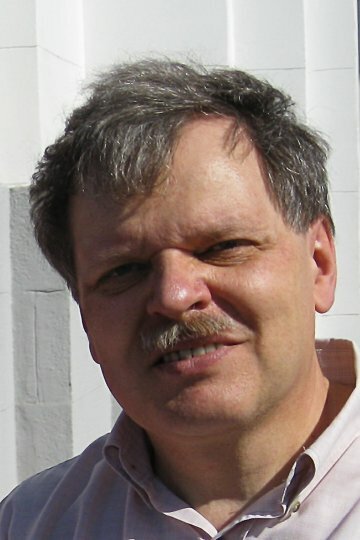 μετα 2014 / meta 2014 (June 29 - July 3, 2014, Pereslavl-Zalessky, Russia), a program committee chair. PEPM'2013 (January, 20-21, 2013, Rome, Italy), a program committee member. μετα 2012 / meta 2012 (July 5-9, 2012, Pereslavl-Zalessky, Russia), a program committee chair. PSI'11 (June, 27 – July, 1, 2011, Novosibirsk, Akademgorodok, Russia). μετα 2010 / meta 2010 (July 1-5, 2010, Pereslavl-Zalessky, Russia), a program committee member. PU'09 (June 19-23, Altai Mountains, Russia). PSI'09 (June 15-19, 2009, Novosibirsk, Akademgorodok, Russia). μετα 2008 / meta 2008 (July 2-5, 2008, Pereslavl-Zalessky, Russia), a program committee member. PEPM'2008 (January 7-8, 2008, San Francisco, USA), a program committee member. Научный сервис в сети Интернет - 2007 (September 24-29, 2007, Novorossiysk, Russia). I'm a graduate of computer science and mathematics (MSc 1973, PhD 1979) from Lomonosov Moscow State University, the Faculty of Computational Mathematics and Cybernetics, the chair of programming languages. 1973-1975: Postgraduate student at M.V.Keldysh Institute of Applied Mathematics, the Russian Academy of Sciences, Moscow. 1979: Ph.D., Mathematics and physics, M.V.Keldysh Institute of Applied Mathematics, the Russian Academy of Sciences, Moscow. 1982-1983: Chief Engineer of Project, Head Informational Computing Center of the State Committee on Publishing Houses, Printing Industry and Trades (Goskomizdat), Moscow.